The Fall buyers market and Federated Co-operatives Limited is committed to procuring – or helping co-ordinate the procurement of – high-quality products at competitive prices for our independent, retail co-operative members, who in turn offer these products to their customers. We have a long tradition of sourcing local products and supporting local business. We are also committed to reviewing procurement practices, collaborating with suppliers to understand their environmental and social performance and identify future supply chain opportunities across all business lines. 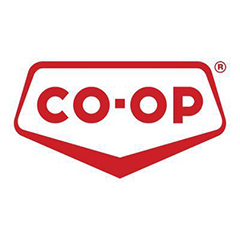 Visit the Federated Coop website here. This entry was posted in 2018 Shows, Show Resources, Trade Shows and tagged 2018, back wall, banner stand, Banners, Buildings Show, Canada, Conference, Construct Canada, Custom exhibit, Design, Displays, Exhibits, fabric displays, Fabric Exhibits, Marketing, Show Services, trade show, trade show display, Trade Show Exhibits, Trade Shows. Bookmark the permalink.